One of the staples of our garden each year is green beans. In truth it is the one of the few green vegetables my children will eat. 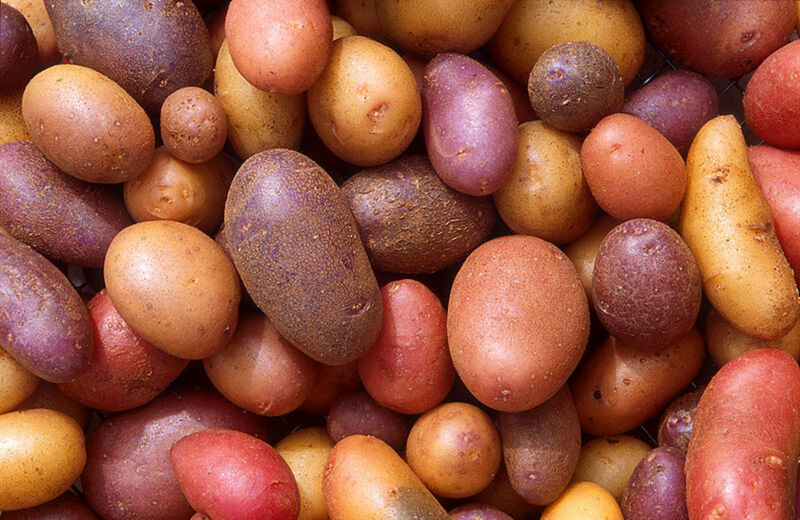 Plus, my wife and I grew up in families that included this vegetable in a good portion of our meals, so it became an important part of our diets. Growing up, my wife and I learned how to plant, harvest and prepare these vegetables for long term storage. These methods allowed our families to have home grown produce throughout the winter months, even until time for the next harvest. There is something about a home grown bowl of green beans as compared to a store purchased one that I feel makes the effort worthwhile. 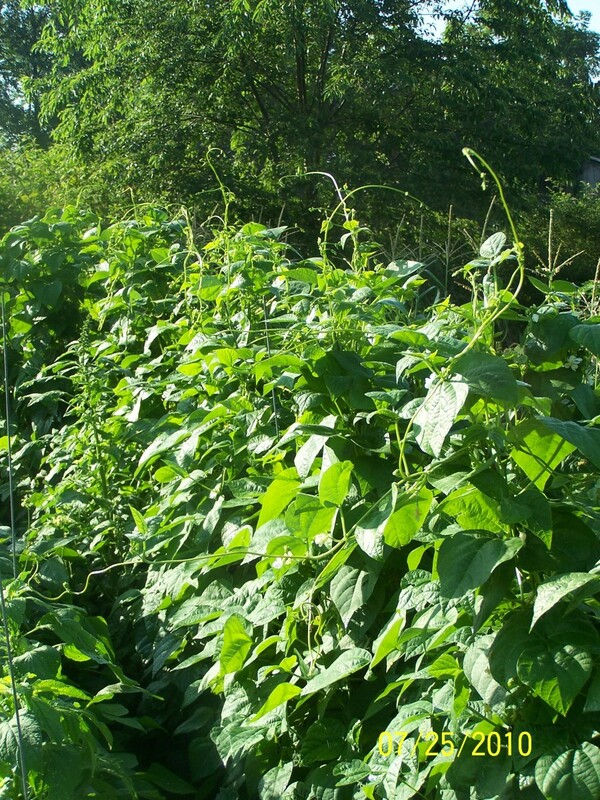 This is a three row section of my garden with bush beans, which as the name implies grow in a bush. We had a fair growing season with not quite enough rain, so these rows provided about 50 quarts of beans. 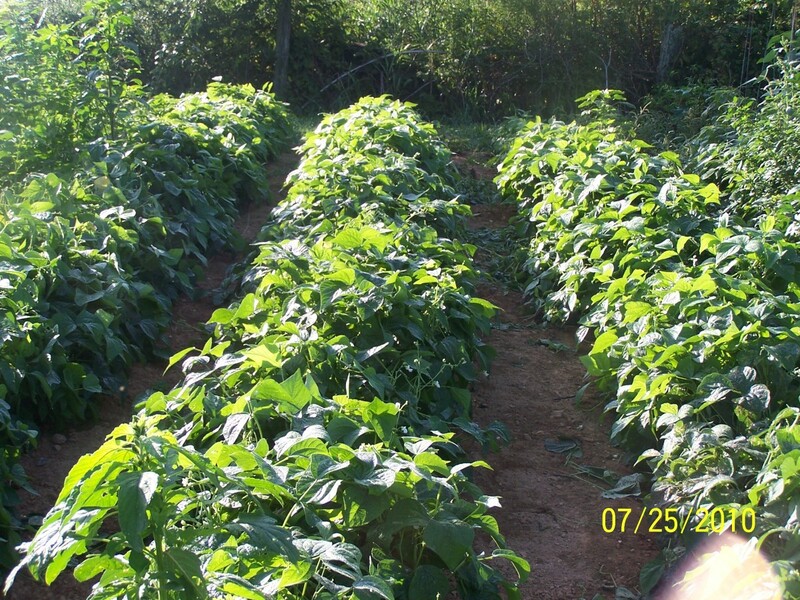 Another picture of rows of bush beans that are not as far grown as the previous picture. A key to a good crop is keeping the rows between clear of weeds. There is not a tremendous amount of preparation to grow green beans. You can purchase bean seeds at your local hardware or farm store. 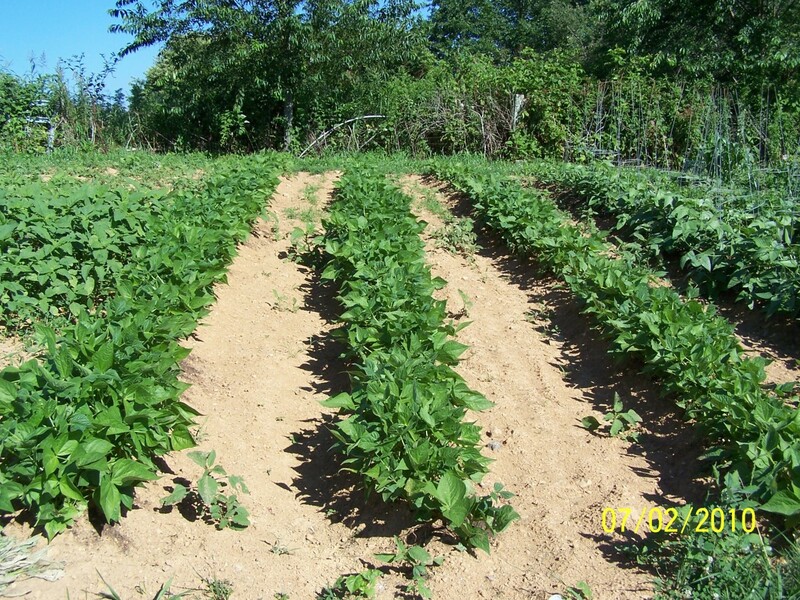 Once you have the beans you must prepare your ground, making sure to work it with either a powered cultivator or a hoe so that it is loose enough to allow you to make a row ditch to plant the bean seeds in. Some people will “soak” their bean seeds overnight before planting, with the expectation of shortening the time for the seeds to sprout. Personally I do not do this, but know it will help if you are determined to get things going immediately. I feel gardening is a leisure activity and do not allow myself to get so keyed up over results. I have seen instructions in print about how to plant bean seeds, which will say so many inches apart within the row. My father did most of his planting by hand, dropping the seeds so that there were no more than a couple of inches between them. The last few years I have been using a device that has a seed disc mounted in a little seed reservoir and it will drop the seeds and partially cover them as I plant. This is a much more precise and definitely a faster process. After the seeds are planted, I usually go back and pull part of the dirt from one side of the row to partially cover the beans. Then I will take a bucket with granular fertilizer, usually 10-10-10 and sprinkle it over top of the freshly covered seeds. This fertilizer may not be used until there is some precipitation in your garden, but it is there to help when the seeds begin to sprout. These beans are ready for harvest, or to be picked. 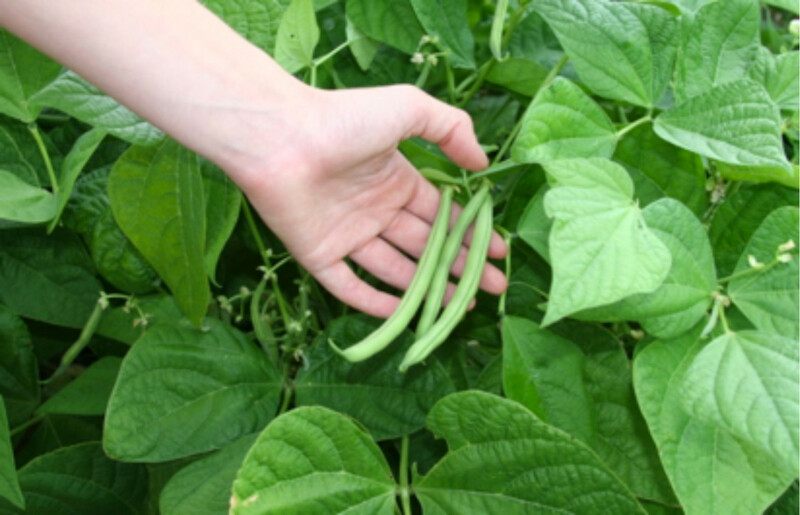 There are so many types of beans it would be difficult to cover all their specific and individual qualities, so I want to focus on a couple of types: bush beans and the kind that will climb. Specifically, we grow two varieties which are Tenderettes and Half Runners. Between these two beans we cover the interests of the majority of people in my growing region. 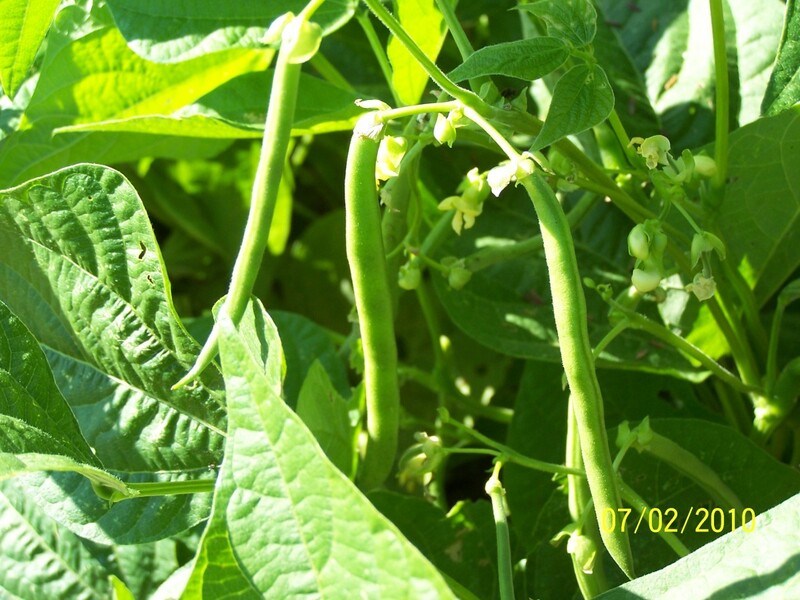 Tenderettes are a type of bush bean, or type that grows into a freestanding vine. These beans are heavy producers and provide a bean that does not have strings to deal with at harvest. Many people in my area would rather not have to struggle with the task of stringing, which can be a considerable investment of time and effort. Conversely, however, the other type Half Runners definitely will have strings to take care of at harvest. Also, these vines are climbers and do better if planted in a spot where you provide them with something to climb on as they mature. Ideas for this can be fencing or corn crops, where the vines can latch on and “pull themselves up off the ground. If nothing is done, these fast growing vines will reach a point where gravity takes over and they will slump over to the ground, making their production much less and picking a very difficult proposition. This is a climbing style bean known as a Missouri Wonder. I tired a new way of "training" the beans, using upside down unused tomato cages for support. They did very well, growing to six foot tall. When you purchase bean seeds, most packs will have an estimated amount of days necessary for the beans to mature to the point they are ready to be picked. Keep in mind these estimates are under ideal conditions where the ground is warm and adequate moisture is present. If these factors are varied, so will the actual time until the beans reach maturity. Judging whether your crop is ready to be picked is a subjective exercise. My wife and I are veterans of this process, so we can usually just look at the vines and make this determination. Truly, it relates to how full you want the bean pod to be. Half Runner lovers like a full pod, while bush beans are usually better before the beans get very large. Also, the larger the bean the tougher the hull will be. This is something you will learn as you experiment with growing beans. It may take a couple of tries to figure out just what point is the best for you and your crop. Your beans won’t likely mature all at one, so you may have to arrange several harvests to accommodate your crop. Usually your first harvest will be lighter, but will take some of the mature pods from the vine, which will redirect the energy to other less mature ones, which will cause you to have several rounds of harvest. This can be spread out over a few weeks, but really depends on weather factors such as moisture and amount of sunshine your vines receive. To actually "pick" the beans you will go out to your vines and take the pod in your hand and gently pull it loose from the vine. I say gently because the vines are usually tender and can easily tear loose from the plant or the ground, depening on how deep the roots have grown. As the crop matures, you may be able to grab several pods simultaneously to shorten your time to harvest. More beans ready for harvest. Notice the little white balls to the right, this is more blooms for later beans. 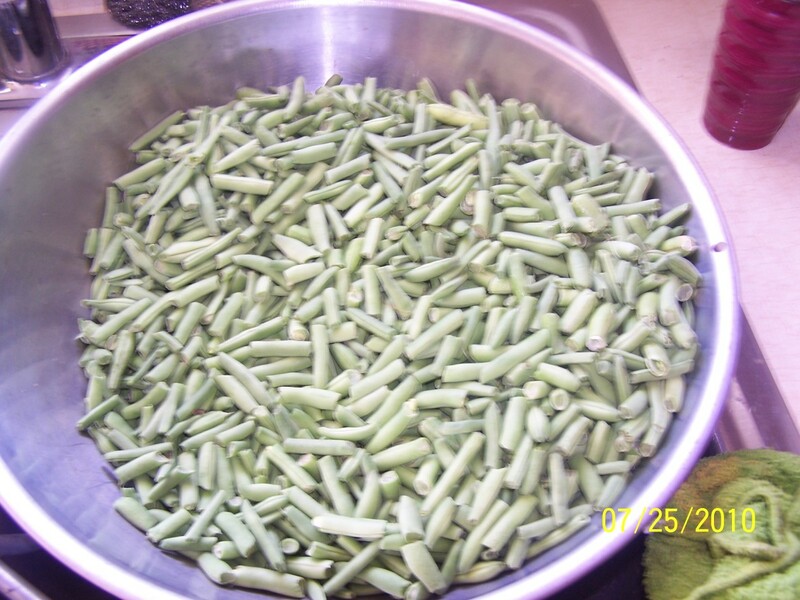 This is a pan of beans that have been prepared for the canning process. The beans are "strung" and broken into sections with no more than one bean. This makes them easier to eat. This pan holds enough for 7-8 quart jars. Once you have picked your beans, it is necessary to prepare them for storage. Even if you plan to cook some of these beans right away, you still need to prepare them the same way as you would for long term storage. This can be a labor intensive process, but we usually invite neighbors or family members over to spread the work and make it more enjoyable. The string beans will have strings on both edges of the bean. At one end of the bean will be the portion that connected to the vine. At the other end will be a pointed tip which is where the bean began growing. To “string” these you simply pull against these ends toward the opposite end of the bean pod. Once you have pulled the string from each end, you will take the bean pod and snap it in several pieces. Depending on the size of the bean, this may be several sections. Usually you want no more than two beans in each section. With the string less beans all that is necessary is to snap the ends off and then break them into the smaller sections. 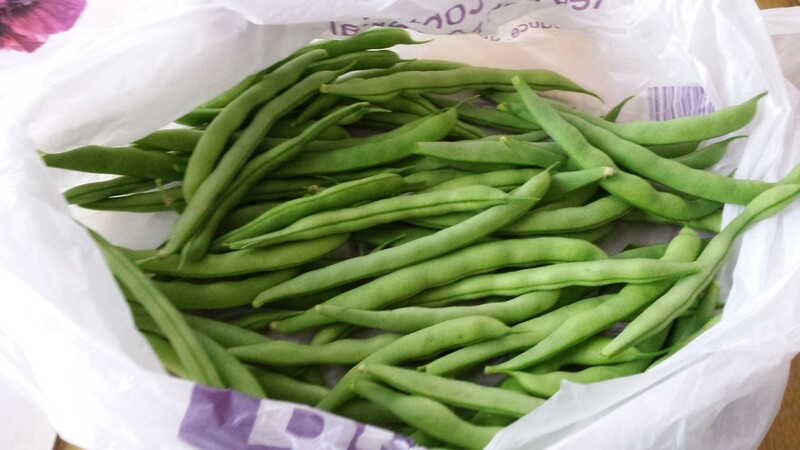 Obviously the string less beans will take a shorter time to prepare for storage. We typically grow more of these beans for that reason along with the fact that we prefer the taste of these over the Half Runners. There are two ways of storage I want to cover. Some people wash their beans and insert them into freezer bags before placing them into the freezer for long term storage. We prefer canning the beans in pressurized glass jars. This process involves using what is called a pressure canner to cause the glass jar to “seal” in the beans so they will keep for a period of a few years. The beans that are sent to the freezer will require more preparation when the time comes to cook them, meaning you will need to boil them for at least an hour. In comparison, the “canned” beans will only need to be cooked about half as long to make them ready to eat. Again, your personal preference when trying both methods will determine which suits you best. This should help you get started in growing your bean crop. There are probably steps that are so automatic to me that I have either skimmed over or ignored completely, so be sure to ask an experienced gardener if there is something you don’t understand. 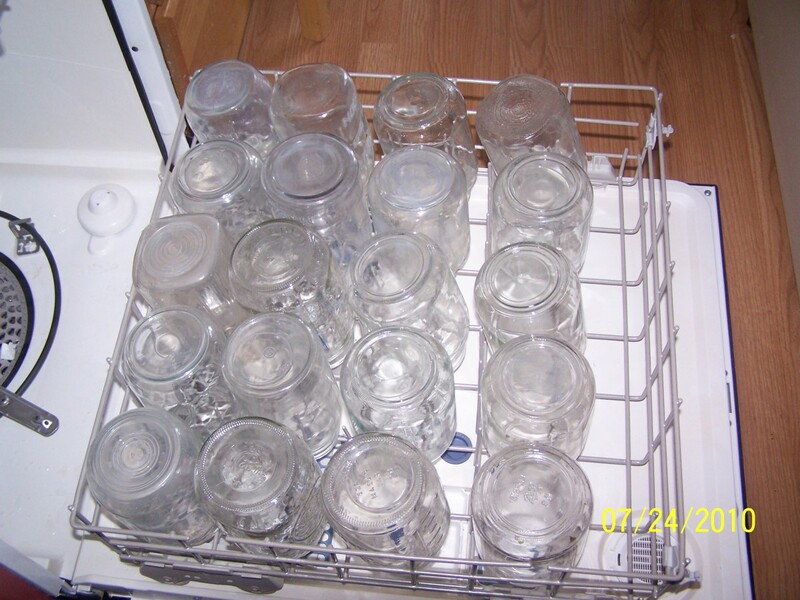 To make sure your jars are clean you can run them through a dsihwasher cycle. Many of our jars have been used multiple times. This is a picture of the beans before the pressure canning process begins. 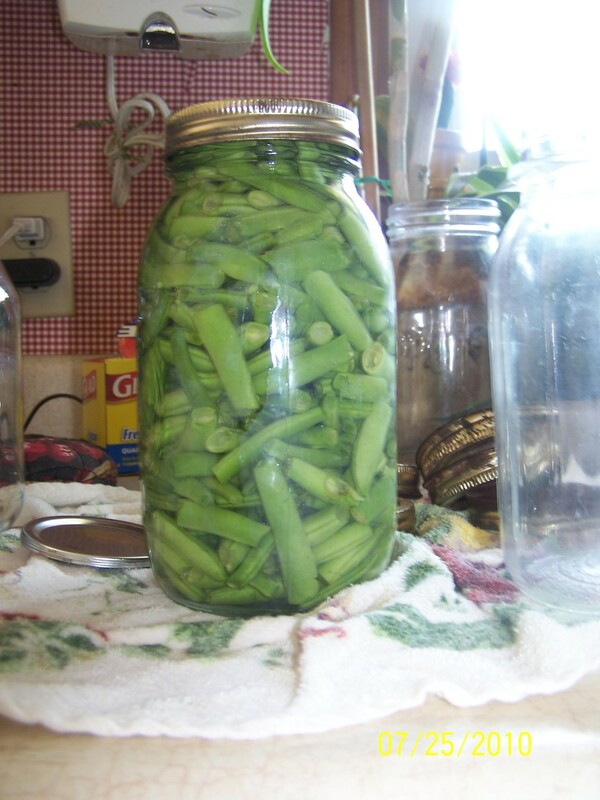 The color of the beans in the jar is a light green, which will change to a darker shade at the end of the process. Finished jars of beans after the pressure canning process is complete. 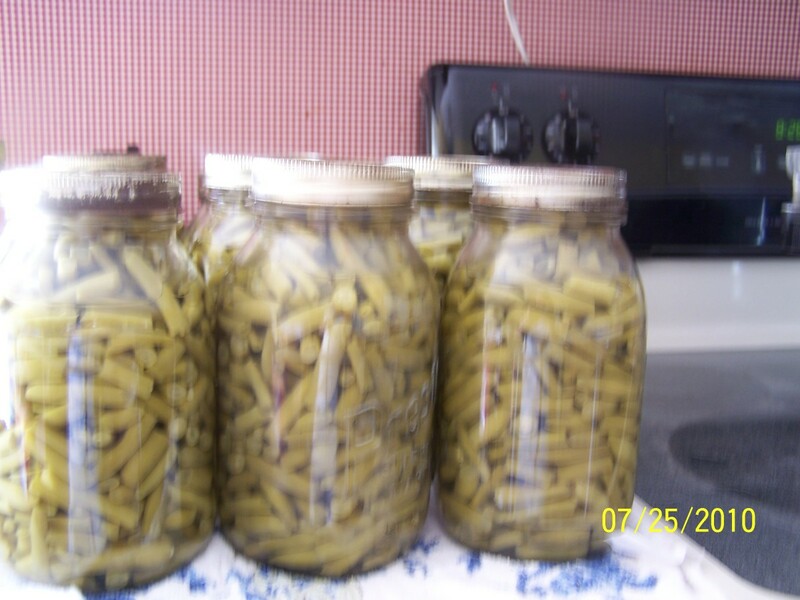 The beans are a darker green, which is one effect of the canning process. I have grown beans for three years now. My problem is I have picked them taken the string off both sides and for some reason there are strings in my mouth when I eat them. WHY ? Is there a completley stringless green bean I can grow good in Florida????? Durant - So happy to share my knowledge. Our beans have suffered greatly due to a groundhog problem the last two years, but a new .22 cliber rifle should do the trick! Nice hub! Lots of useful information. Julie - This years crop is coming along nicely except for some grazing by a ground hog. 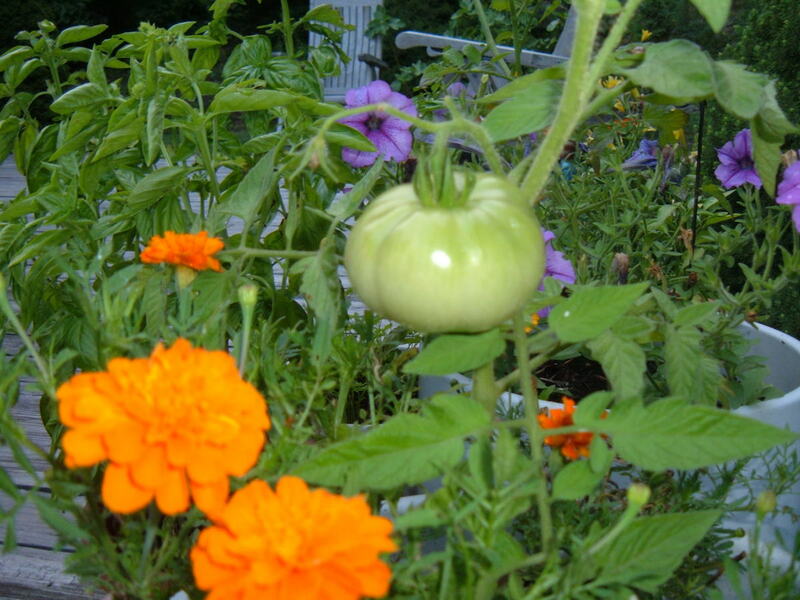 It is chewing off some top leaves on the more mature plants and snipping off some newly sprouted plants as well. My efforts are being targeted toward eradication of this pest. Wow! What a huge garden you have, at least compared to mine. We love green beans - grow them every year. Pole beans help us save space and allow us to grow more food. Thanks for sharing. Lots of good information here. Gb - You are welcome. I wanted to get the info out for those who want to grow their own beans. What varieties do you grow? wow. thanks for a very informative article and you even added actual photos. The facts you placed here are really helpful in growing beans. 2useday - SO glad you find the information of use. Our preferred type of bean is a bush style known as Tenderettes. This is a very useful hub although I do not grow as many beans as you do, I will book mark this for future reference. I prefer to grow and cook with the low growing 'bush type beans' to the runner beans, but oddly I seem to find the runners beans prefer the growing conditions we have. Thank you for this. Unfortunately I do not grow on the scale you do so I can tend to the weeds using a tiller. I do not know of a particular weed control to do what you need. The phsiology of a weed and vegetable plant are so similar that any herbicide that would kill the weed would also kill the bean plants. My name is Matthew I live in Georgia and wondering if you would share some tips on weed control.I am farming 5 acres in canton this year.The seed has been in my family for 4 generations.My rows are 5 rows @ 250' long I have the beans on wire with string to climb and they have give me over 10 bushel this year (2010).The thing is it is almost impossible to hoe at this stage, is there spray that will kill weeds and not the beans? Over years of trying we finally have it right and enjoy bumber crops of green beans each year. Thanks of the compliment on the hub! I always had trouble with green beans. I have no idea why! Great info here! Tom - deer aren't as much a problem for me as rabbits and ground hogs. I had to put one ground hog out of his misery after he "harvested" my new bean crops for the fourth time. Try planting peas and potatoes. The new potatoes and creamed peas are a meal on their own. You have to watch out for deer with the peas they'll eat them all. We do can these ourselves. We mormally will can 250 quarts or so each season. Some people ask us to grow, pick, fix and can for them as they are too old to do this themselves. Do you home can the beans for preservation througout the year? They are much tastier the store bought canned beans. Also near the fall let the pod dry if you plant a type of bean with large seed you can make bean soup with these and it's great!!!!!!!!!!!!!! 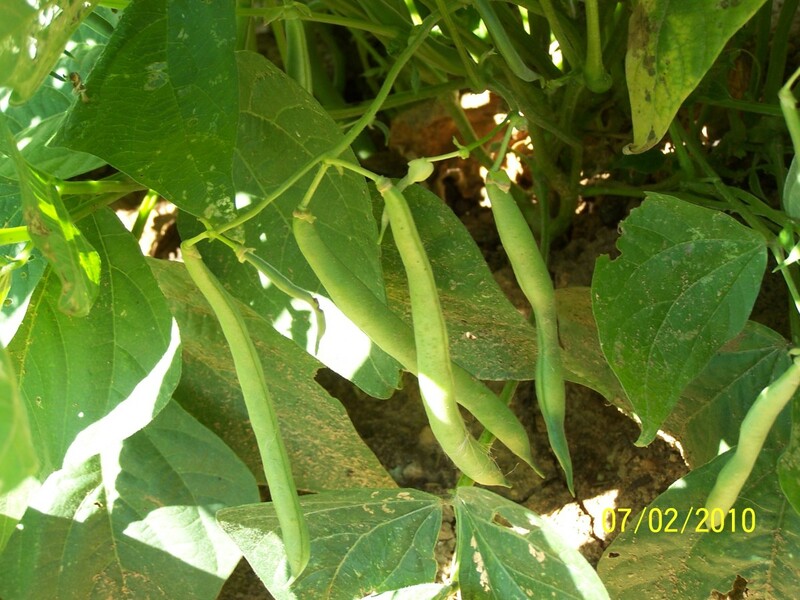 Visit the hub of fellow hubber Putz Ballard about growing pole beans.